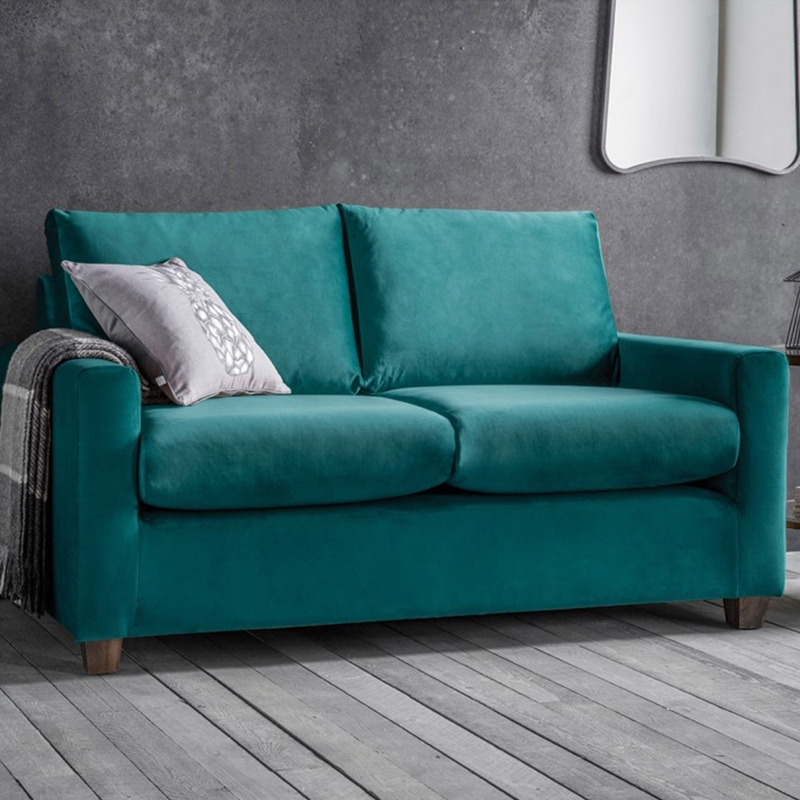 Bring together a theme of beauty and style in a room of your home with this exceptional Stratford sofa upholstered in a luxurious and elegant Brussels petrol coloured fabric. Country cottage or loft living, this versatile range is made for comfort and style. With a variety and choice of classic linens and luxurious velvets, this beautiful sofa including natural wooden legs will satisfy even the most dedicated lounge lizard.